For many patients missing a tooth or teeth, they may look at different options (implants, dentures, bridges) but find that their only real solution for tooth replacement is a dental implant. When lost or missing teeth are not replaced, they can cause serious problems for your overall oral health. Some of these problems include additional infection, bone resorption, increasing tooth misalignment, and jaw pain. It is important to understand that if dental implants are your only option, that this isn’t a drawback. Dental implants often offer the best option for patients when considering tooth replacement. 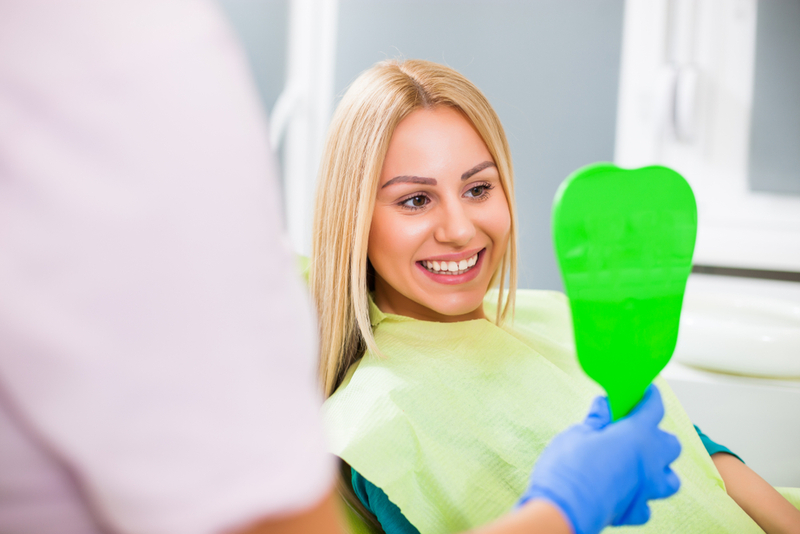 We have outlined some of those reasons in this article so that you can feel more confident with your decision to replace a missing tooth or teeth. When patients have missing teeth, they can often find many situations to be increasingly uncomfortable. Social gatherings, family reunions, professional meetings can all become sources of apprehension and even dread. When you know that you have a glowing and radiant smile, you can walk into a room with confidence. Missing teeth create gaps that can help to harbor additional harmful bacteria. These bacteria can further infect the rest of your mouth and cause additional problems. When teeth are missing, your body also begins to resorb the bone that once surrounded the roots of your teeth. As this bone continues to deteriorate, it can affect your facial appearance and leave you more prone to injuries from minor traumatic events. Many patients complain that when they receive dentures that they could no longer enjoy all their typical favorite foods. Many people have difficulty eating or drinking because of the fit of their dentures and their inability to function just like your normal teeth. Implants not only look and feel like your natural teeth, but they work just like them too. They are solidly anchored into your jaw and won’t slip or move as you eat or drink at your favorite restaurant. Dentures often require additional cleaning and placement steps every day. Dental implants don’t require any additional steps. You simply care for them just like your natural teeth. This means brushing twice a day, flossing, and keeping your regularly scheduled dentist appointments. You only need to make sure that you don’t damage the surface of your implant with wire flosses or brushes. Fortunately, there are many options on the market that are safe for implants and your natural teeth. Dental implants can be installed in as little as a single office visit. Your dentist will install a small post into the bone underneath your gums. This post is coated with a special material that causes the body to build additional bone around the implant. Over time, the implant post is securely anchored into the jaw and has built up strong new bone to continue to support your new implant. Once the post is in place, the implant will be created specifically for you. The implant should fit perfectly between your existing teeth and will match the color of your natural teeth. This means that once the implant is in place, nobody will be able to tell that you weren’t born with that smile. Implants offer patients one of the best options for single or multiple tooth replacement. They have a natural look, feel and function. This will help you continue living without being concerned about loose dentures or that your guests are more focused on a flaw in your teeth than what you are discussing. If you are considering an implant, contact us and schedule an appointment with our Loma Linda, CA dentist today.